In 2017, the California Community Colleges system adopted ambitious and aggressive reforms called Vision for Success. The overall goal is to boost performance by creating programs and curriculums that put the system's 2.1 million students on the fast track to earn credentials, certificates and degrees, or transfer to a four-year university. This week, CCC released a progress report on its new initiatives — and the results were "disappointing," according to the school system's own leadership. In the 2017-2018 academic year, the number of students earning degrees increased by less than one percent and the system saw just a three percent rise in transfers to UC and Cal State schools. Despite those weak numbers, CCC Chancellor Eloy Ortiz Oakley said he and other officials "feel very confident that the reforms that have been put into motion will allow us to achieve these goals." According to Oakley, progress may be lagging for three main reasons, the first being money. 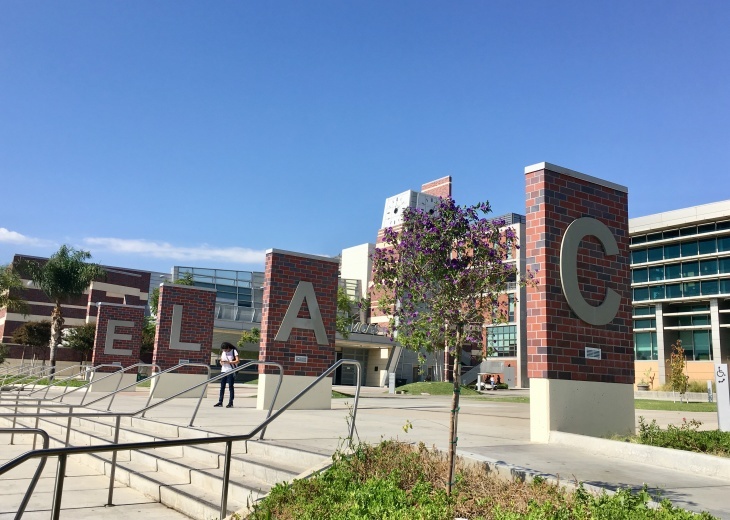 "While [students] pay very low tuition, they receive very little state aid that allows them to pay for the cost of attending college," he said in an interview with KPCC's Take Two. The chancellor pointed to a recent Hope Center survey that found well over 50 percent of California's community college students are food insecure, while 60 percent were housing insecure the previous year. "We have to face these challenges and ensure that we're providing financial support to students in the community colleges so that they can attend full time," Oakley said. The second reason Oakley cited for the weak numbers was the lack of a focused college curriculum. "Our colleges need to do a better job of focusing their class schedules around the needs of students," he said. "Ensuring that we're allowing students to take as close to full-time as possible and get them to their educational outcome as quickly as possible." One of the goals of Vision for Success is to create more counseling programs and courses to help students achieve their educational goals more quickly, whether that be an associate's degree, certification, a credential or transferring. Lastly, Oakley pointed to lingering remedial classes but noted that those are being phased out, thanks to a state Assembly bill. AB 705, which was passed in 2017 and took effect in 2018, basically eliminates remedial education in community colleges and allows students to be placed in transfer level math and English. Even with all those systemic hurdles, Oakley said he's convinced the targets outlined by the Vision for Success plan are achievable by 2021-22. "We have students pursuing a myriad of different educational goals," Oakley said. "But it's incumbent upon us to create class schedules and to align our curriculum in ways that help our students get to that educational goal as quickly as possible and use data to help inform how we're supporting them."